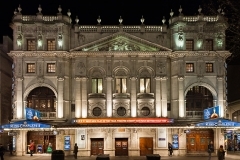 Driving Miss Daisy (26 Sep 2011 – 17 Dec 2011) starring Vanessa Redgraveand James Earl Jones. 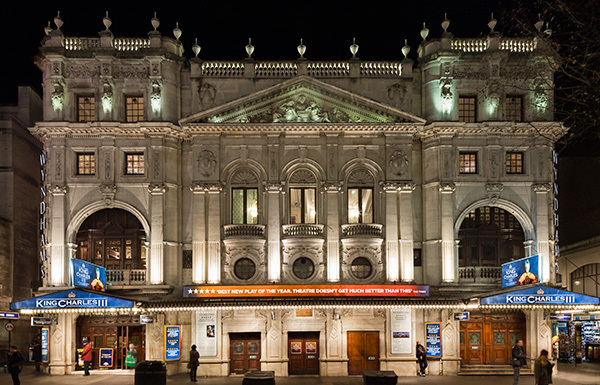 Wyndham’s re-opened on 17 September 2008 following a major four-month refurbishment programme with a highly acclaimed year-long season presented by the Donmar Warehouse. The season included Ivanov, Twelfth Night, Madame de Sade and Hamlet starring Kenneth Branagh, Derek Jacobi, Judi Dench and Jude Law. Sunday in the Park with George (23 May – 2 September 2006) Transferred from the Menier Chocolate Factory and swept the board at the 2007 Olivier Awards where it won in five different categories. Starring Daniel Evans and Jenna Russell. 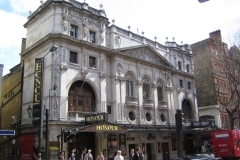 On 19 September 2005 the long lease on the theatre reverted from the Ambassador Theatre Group to Delfont Mackintosh Theatres. Side by Side by Sondheim (1976) produced by Cameron Mackintosh. 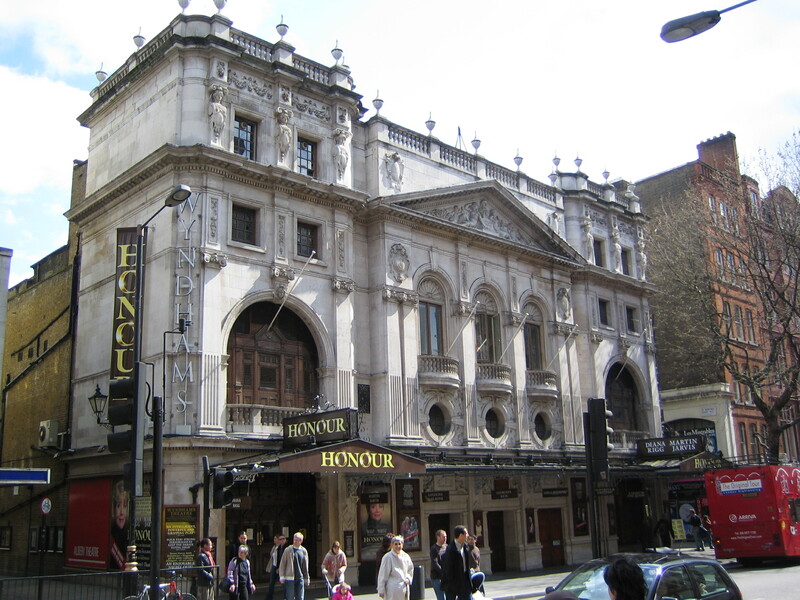 Transferred to the Garrick Theatre. Godspell (1972 – 1975) transferred from the Roundhouse and ran for almost three years. The cast included Julie Covington, David Essex, Marti Webb and Jeremy Irons. The Dancers (1923) starring Tallulah Bankhead. Written by Gerald du Maurier and Viola Tree. Tallulah Bankhead’s most famous scene was one in which she performed an Indian dance costumed in feathers and jewels. 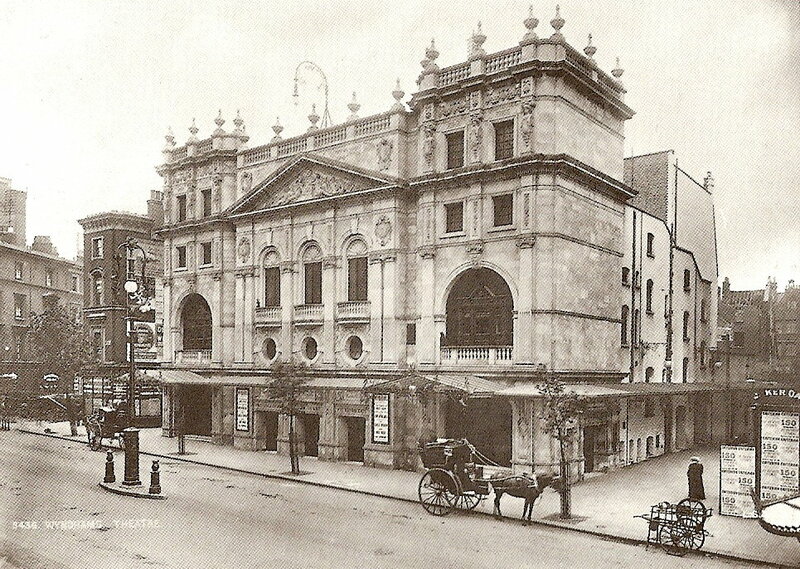 The original theatre plans included a winter garden on the roof. The Council refused permission for this, but it was used once for a rehearsal of a charity performance of J M Barrie’s The Admirable Crichton at which G B Shaw was also present (1916). 1910 Gerald du Maurier became actor-manager of Wyndham’s for more than a decade. Some of his most famous roles were in Raffles and Bull-Dog Drummond. 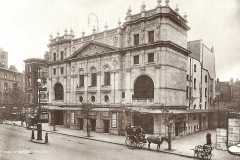 1899 Wyndham’s opened on 16 November with a revival of David Garrick by T W Robertson in which the theatre’s owner Charles Wyndham and his future wife, Mary Moore, both appeared. The theatre was designed by the architect W G R Sprague in the Louis XVI style.